It was love at first bite. You may come in many forms: layered, molten, bundt, fluffy, mousse-y, decadent, frosted… …but we love you all the same. You’re the reason we know what happiness tastes like. Your special day may only come once a year on January 23rd, but you’re also the reason we know how to REALLY celebrate a birthday or a sweet valentine. We would make ourselves sick over you. We would steal the last piece for you. We’d even lick the bowl for you. But no matter what, we’ll keep coming back for you. Thank you always for your chocolatey, decadent goodness. Ever heard of lavender-infused truffle or a Mexican chili chocolate? Bring out your inner gourmet chef and incorporate an exciting ingredient in your next chocolate cake. Take a baking class to flex your chocolate cake "muscles" for an enlightening culinary experience. Bring a friend or loved one as your chocolate sous chef and bake your way to chocolatey goodness. Indulge in your guilty pleasure by making a trip to your local bakery or restaurant that serves your favorite chocolate cake. We can all reflect on past birthday celebrations and reminisce about an epic cake being present. Cake and chocolate are ingrained into American culture as natural symbols of love and celebration. No matter how you slice it, a chocolate cake might be the most memorable guest of the party. 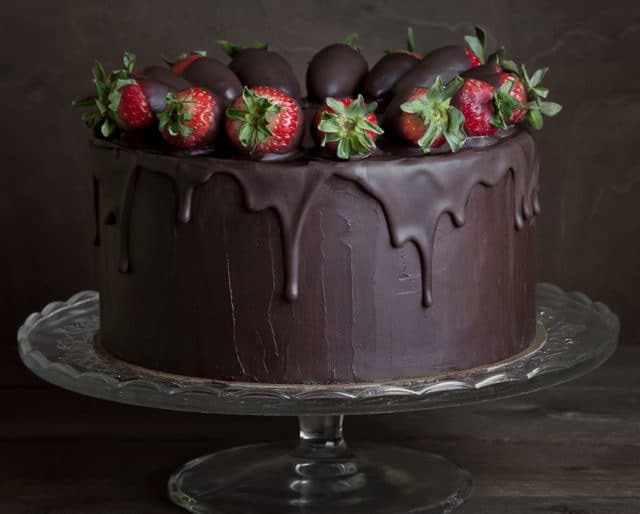 Cake evolved from early leavened breads, which were sweetened with natural ingredients like honey, fruit, and nuts and then expanded to include ingredients like vanilla and chocolate. Its simple combination of ingredients, most notably chocolate, work harmoniously to trigger our brain's natural production of opiates, which help alleviate pain and increase our positive feeling of well-being. It's clearly the perfect combination of both simple and sweet. Chocolate triggers the release of serotonin and endorphins, which are neurotransmitters for happiness and pleasure. It also contains phenylethylamine, which elevates our mood when feel happiness or love. Who knew getting emotional over chocolate was so natural?